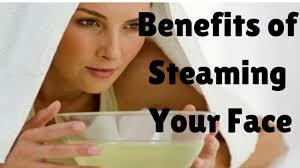 Peoples usually follow this skincare routine:cleanse,tone,exfoliate,moisturize and apply sunscreen.But there is one more tried and tested method to improve overall health of your skin.That is steaming your face, it is one of the simplest and best ways to keep your skin healthy and free of impurities.Facial steam applications give you multiple skin health and beauty benefits. The warm facial steam causes your face to sweat and this has a cleansing effect on skin.Sweat is a 99% water,when sweat flows from the skin it lifts dirt,dead skin cells and other debris that may be trapped in pores to the surface of skin, where from it can be removed easily. 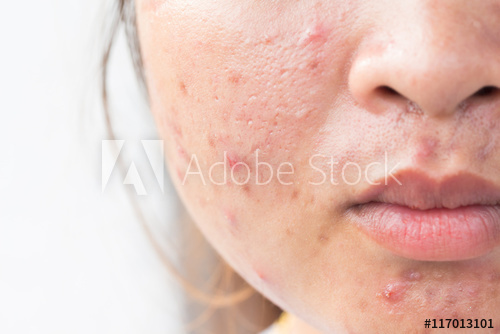 Our skin naturally produces sebum that moisturizes,protects and lubricates skin and hair.But when sebum becomes trapped in a follicle,acne breakout can occur.One such breakout is in the form of blackheads.When steam is applied to the face it softens blackhead plugs gently releasing them from follicle opening and making them easier to be removed. When you steam your face the ambient temperature rises.In response to the rising temperature your body activates therm regulated response.As part of that response blood vessels in the skin dilate more blood can flow to the skin to let off heat.To letting of heat blood delivers nutrients and oxygen.This increased blood flow provides rosy,dewy post steam glow to the dull,tired skin. If your wear makeup daily you really need to steam your face regularly.Makeup gets trapped in your pores and no matter how good the makeup remover you use,regular steaming would be needed to pull out the makeup from the skin pores. When you steam your face properly your facial skin pores are dilated and pores get cleaned.The cleansed pores can now better absorb skin care beauty products you might use such as a face mask. new skin cells are plump and firm.These cells move up through the layers of the skin and undergo wear and tear.by the time they reach the outer surface of the skin,the cells are flat hard and dead.so the uppermost layer of your skin is dead skin.As people age they do not shed the dead cells as quickly and skin begins to look old and dull.Steam boosts the sin cells turnover.That's why after a steam your skin appears fresher and younger looking. Beauty Tip: Do not steam your face for more than 10 minutes and try to cleanse your skin with a gentle cleanser immediately after steaming your face to get rid of loosened debris.